BLUE, RED, APRICOT, CREAM, & PHANTOM. We will adding Black and White Harlequin color hopefully at the end of 2019! 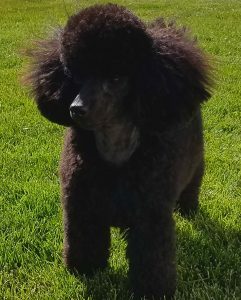 MUDDY CREEK POODLES- located in Riverton Wyoming and Specializing in the “Natural Poodle”. We do not cut off our puppies’ “thumbs” (dew claws) or dock their tails. 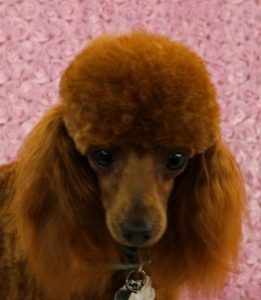 We strive to improve the health and well being of poodles through diet, improved genetic breeding, education, and naturally rearing poodle babies. We start with grain free diets from Rachel Ray and perform Early Neural Stimulation on all of our newborn pups to improve their health, resiliency and intelligence. We leave natural tails and dewclaws. In Europe, it’s illegal to crop tails. Below are several articles that go in detail why this is not the best for poodle health or comfort. 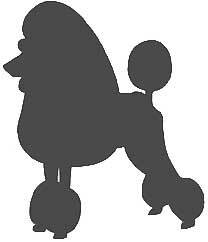 Muddy Creek Poodles is an ethical, responsible breeder of quality purebred, registered toy poodle puppies. 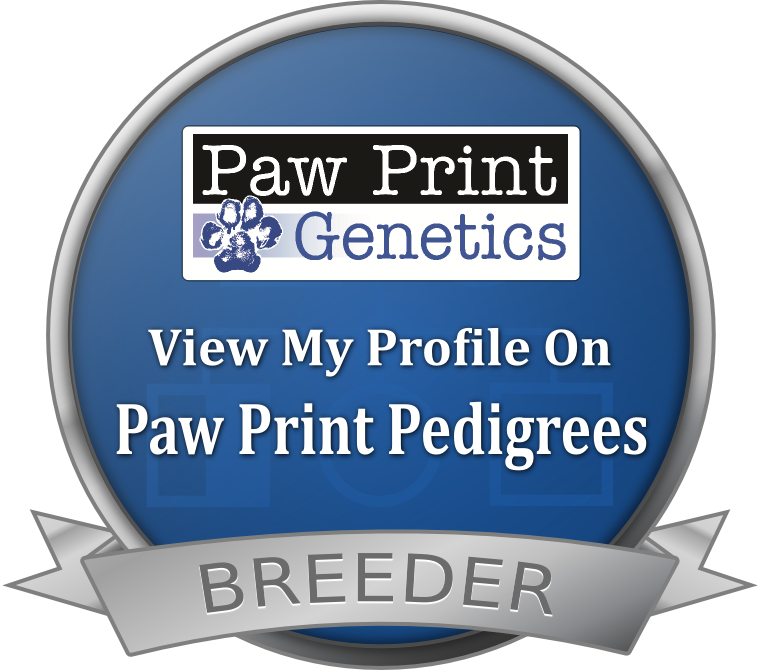 Our dogs all are registered with AKC and all are tested and found to be “normal/clear” for PRA. 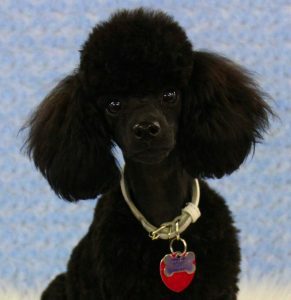 I strive for Honest representation of size, color, health, temperament and pedigree of all my Poodle Puppies. 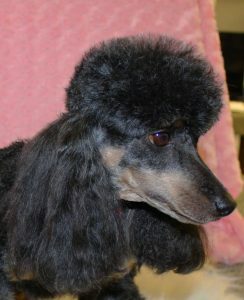 I love sharing my passion for wonderfully bred, happy, healthy poodles. My poodles have AKC and/or Russian Champion bloodlines. Selectively bred to produce puppies with excellent health, temperaments and absolutely show-stopping beauty! 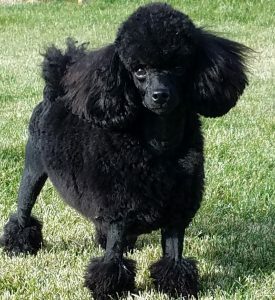 Muddy Creek Poodles is located in Central Wyoming where our poodles have 40 acres to run and play. 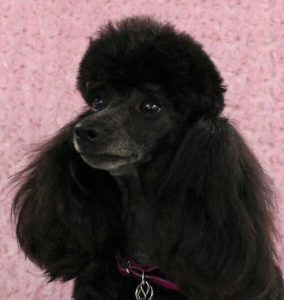 Our promise to you – a puppy that has all the qualities of The Poodle Club of America Breed Standard. 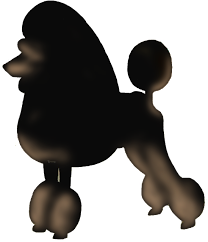 A well-bred Poodle is highly intelligent, beautiful, loyal, and an excellent companion. 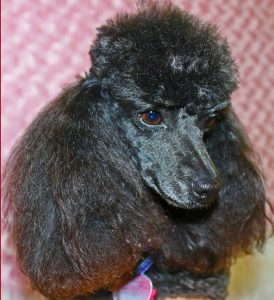 Our poodles have temperaments that are happy and friendly. Thank you for visiting Muddy Creek Poodles. 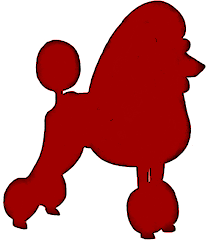 Muddy Creek Poodles is owned by Tripe D Media Works, Inc. Check Out Our Laser Etched Glassware!